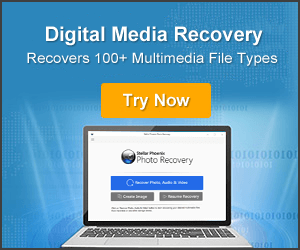 Learn 5 Effective Solutions To Repair And Recover Invalid JPEG Image! Summary: Are you encountering with error messages “Invalid Image” or “Invalid JPEG/JPG File Structure” while opening JPEG photos. Just Relax! In this article we have offered five solutions that will help you to fix JPEG “Invalid Image” error message. Just follow the solution one-by-one and check if problem is resolved or not. Effectively fix and recover JPEG invalid image error. Repair and open invalid JPEG/JPG image. Easily fix invalid JPEG file structure. 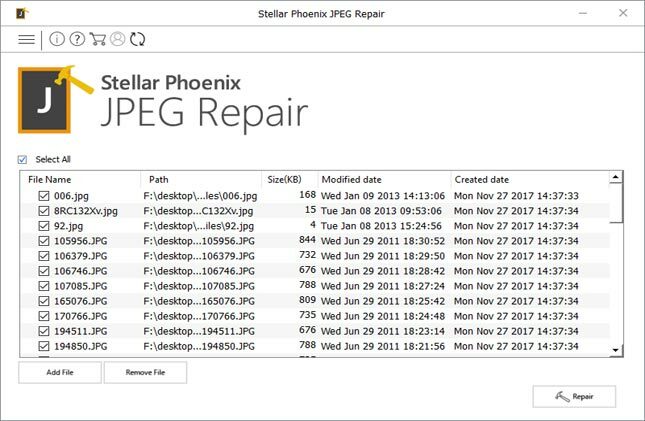 Repair corrupted or damaged JPEG photos. Preview repaired photos in the preview screen of the software. If JPEG/JPG image is not structured properly, then it will not get opened properly and it may throw several unknown error messages such as ‘invalid image”, ‘jpeg/jpg invalid file structure’, ‘invalid jpeg marker’, ‘invalid image file header’ and so on. For example just have a look at below mentioned practical scenarios! Opening .jpg files – Could not complete your request because an unknown or invalid JPEG marker type is found. Hello Experts – Someone in the Marketing department called me this morning, he was unable to open most of the .jpg files on the server. When I tried I had the same problem. There are tens of thousands of pictures on the archive, most of them are giving us this error which just started today. There have not been any recent changes so I’m at a loss as to what the problem might be, please advise! Similarly, there are many user out there, facing similar kind of invalid JPEG image error. But why JPEG image throws unknown or invalid image error message? Additional Reading: Pictures Half or Full Greyed Out? Here Is The Real Fix! Why JPEG Image Throws Unknown or Invalid Image Error Message? There could be several reasons behind the occurrence of invalid image or unknown error. Some of the common causes are mentioned below! The image got corrupted or damaged. The header of the image file got corrupt or broken. Changes in the JPEG file extension. Availability of bad sectors in the in the hard drive may corrupt the JPEG files stored within it, and you get the above error messages when you try to open JPEG image file. If your JPEG photos get infected with virus, then you can‘t open it and you may get above error messages. Due to incomplete or improper download of photos online, you may end up getting unknown or invalid error. Due to incomplete scan of JPEG photos, you may end up corrupting your important pictures. Clicking images even when your device show “low battery” or “not enough memory” also result in the corruption of JPEG pictures and you encounter above error messages when you try to view images. In any of the above-mentioned scenario, you may get JPEG “invalid image” error or other various unknown error messages when you try to view those images. So, now the question arises – How do you repair a JPEG invalid image and open them without any error? Just Relax! 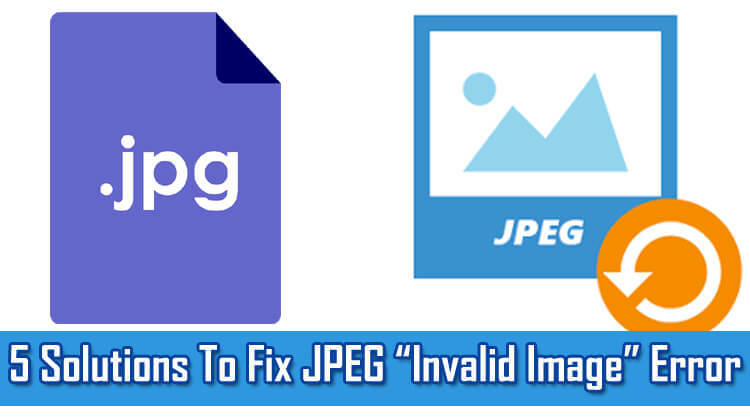 Here come the effective solutions that you can follow to fix JPEG “invalid image” error message. Open the JPEG image in Adobe Photoshop or any other photo editing software. In the Window field select the file extension to another image file format such as .png or .bmp and then click on “Save” to save the image with new file format. Now, open the image and see if it is opening or not. It could be possible that all the file extension of the JPEG files has been hidden on your Windows computer. So, make sure that the file extension matches the actual file type or else the image will not get opened. The reason being, every time you try to open it, Windows will run the same error because there is no file extension exists in your Windows PC to open the JPEG image with that extension. On your Windows PC, go to Control Panel, click Appearance and Personalization and then click on “File Explorer Options”. Go to “View” tab and select “Show hidden files & folder” and then uncheck “hide extensions for known file types and click Apply. Now open your JPEG files, I hope you will not face the error message. You also have to make sure that the particular application or software in which you are opening and viewing JPEG photos does not have a compatibility problem. 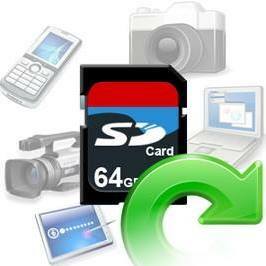 In order to ensure, try to run the application or software in the compatibility mode and then open the JPEG images. On your Windows computer, right-click on the specific program in which you are trying to open JPEG images (say for example “Microsoft Photos”) and then select “Properties”. Go to ‘Compatibility” tab and then select Run this program in compatibility mode and click OK. Simply drag and drop the JPEG file in a web browser. If browser opens your JPEG image without any error, then simply save the image and then open it again in the photo viewer application to check whether you are able to open it or not without any error message. 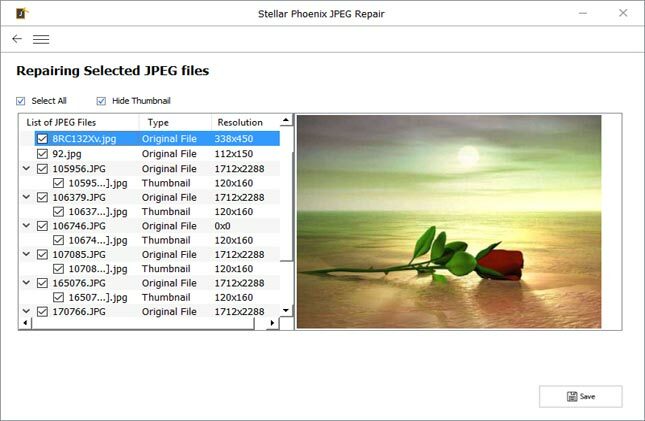 With the help of this DIY (do-it-yourself) JPEG Repair Tool, one can efficiently repair JPEG “Invalid Image” error and easily recover the JPEG images. 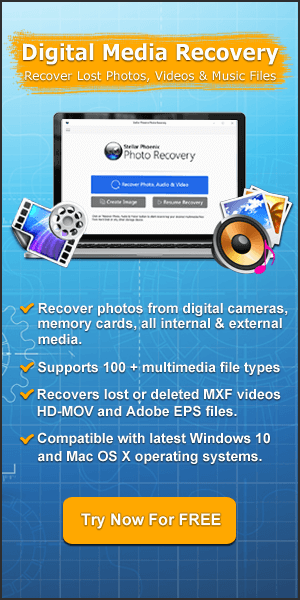 This is one of the best Invalid Image Recovery Software that can fix all the corrupted or damaged JPEG photos in just few mouse clicks. Whether your JPEG/JPG image got corrupted or damaged due to generation of bad sector in hard disk, virus infection, JPEG header corruption, incomplete download and so on. Besides fixing jpeg “invalid image”, this invalid jpeg image recovery tool can easily fix other JPEG file error such as ‘jpeg/jpg invalid file structure’, ‘invalid jpeg marker’, ‘invalid image file header’ and other various unknown JPEG error. 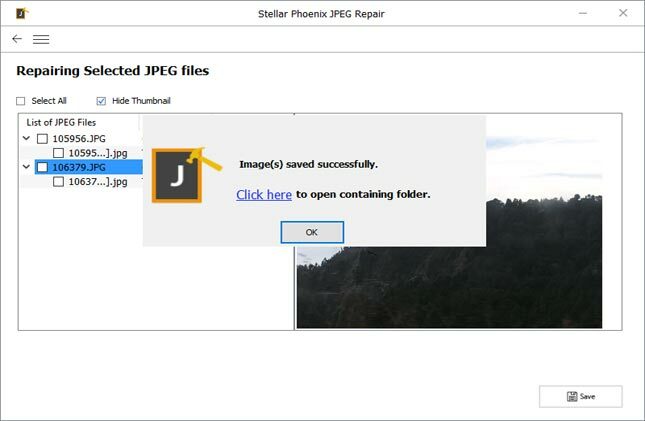 Below, follow the steps to repair corrupted JPEG photos to fix JPEG “invalid image” error message by using JPEG Repair software. Why Photos Becomes Inaccessible After Recovery? 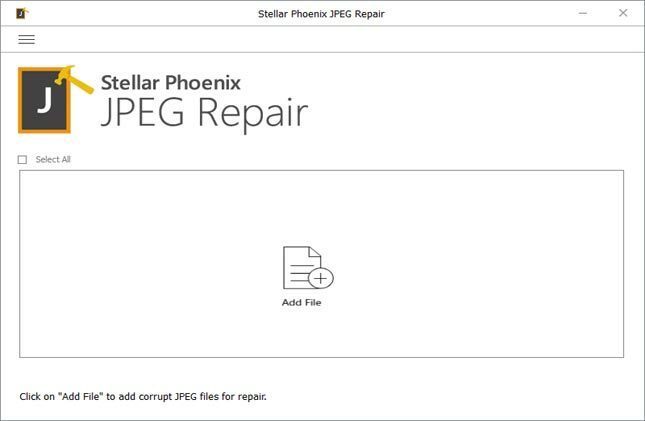 Step 1: Download, install and launch JPEG Repair software on your computer. Click on "Add File" to repair corrupt/damaged JPG/JPEG files. Step 2: Selected file be listed. You can click on "Remove File" to remove file form the list. You can check "Select All" to select all files for repairing. Next, click on "Repair" to begin the repairing process. Step 3: You can see that repairing of JPEG files is in process. Step 4: Once the repairing process gets completed, you can then select any files to see its preview in the right panel. Step 5: Finally, click on "Save" button to recover and save repaired JPEG/JPG images on your computer. Since, now you know the techniques that will act as counter when you will face “invalid image” error while opening JPEG photos. 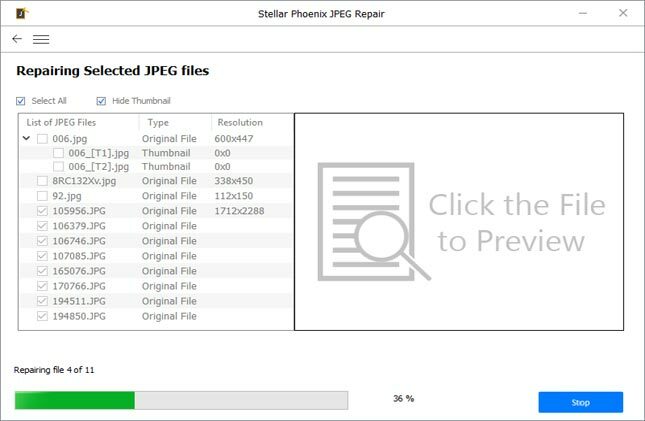 But if all the first four methods fail, then it is highly recommended that you must try JPEG Repair Tool to repair your corrupt or damaged JPEG/JPG files and recover your photos and open them without any ‘invalid image’ error message. How To Fix JPEG “Invalid Image” Error Message. 1: Convert The JPEG File Extension To Different Image File Format. 5: Use JPEG Repair Tool To Fix JPEG “Invalid Image” Error Message [Recommended].